ATNS has taken serious note of the recent reported incidents of flight delays that took place at OR Tambo International Airport. Investigations into this type of incidents are regulated because of a set requirement – to conform to universal quality investigation standards and/or protocols within the aviation industry. The ORT International Airport situation has since normalised and services have been restored. Capacity for the airport and airspace in the form of Air Traffic Services (ATS), are being delivered as per agreement with airspace users. Communication failure experienced was precipitated by an off-peak period reconfiguration of the control center technical layout – meant to accommodate the installation and commissioning of new equipment. This resulted in a temporary communication intermission. ATNS would like to assure South Africans, especially those that are regular users of this mode of transport that at no stage was their safety, or the safety of their kin compromised. 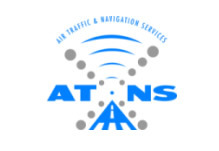 For the full statement issued by ATNS, click here.